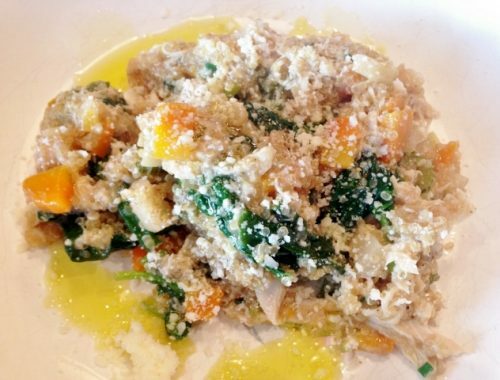 Cauliflower Gratin - Recipe! - Live. Love. Laugh. Food. 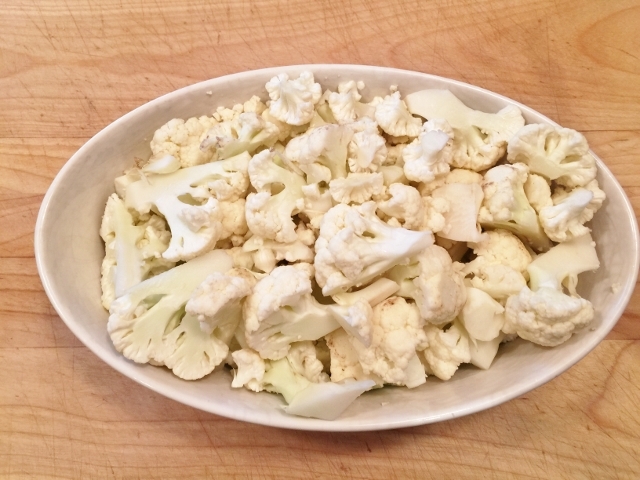 Cauliflower is one of my favorite vegetables, and it has become super popular over the past few years. Cauliflower is such a versatile veggie, you can saute, steam, roast, microwave and transform it into rice, steaks, and a creamy puree. The trick to a good cauliflower dish is how you perk it up with good olive oil, salt, pepper, lemon zest and additional spices. 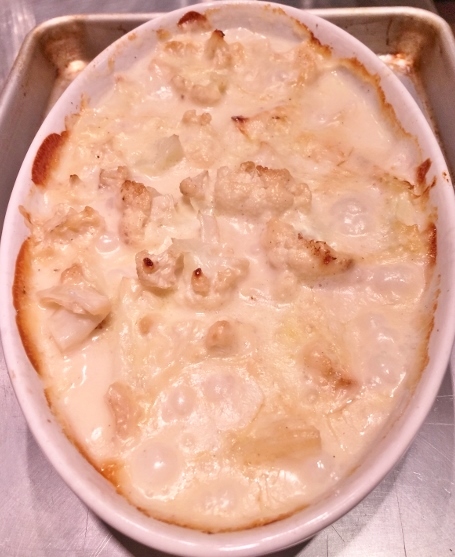 In this recipe for Cauliflower Gratin, I prepare it like I would creamy scallop potatoes. 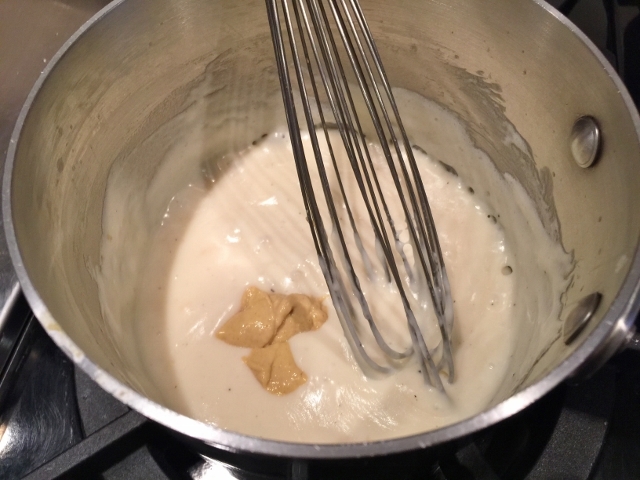 First, I create a bechamel sauce, or white sauce with a few tablespoons of butter and some flour. 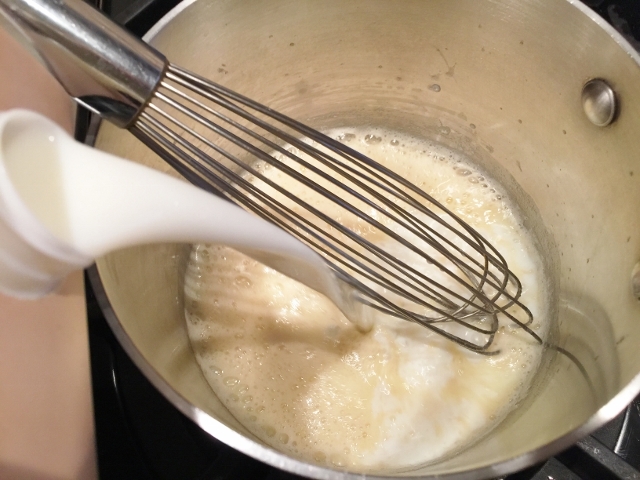 I whisk the mixture until golden and bubbly, and then add a little whole milk to smooth it out. Next, I add a mixture cheeses, anything from jack to cheddar and sometimes a little fancier stuff like Petit Basque or Aged Gouda. I love to serve this gratin to replace potatoes or rice for dinner, especially for a party or large gathering. 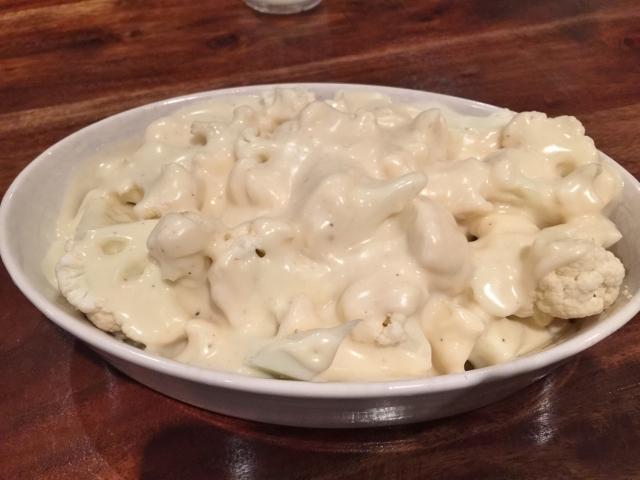 The delicious creamy flavor of this gratin is divine and I think even the pickiest of cauliflower eaters will enjoy it. 1. Preheat the oven to 375 degrees. 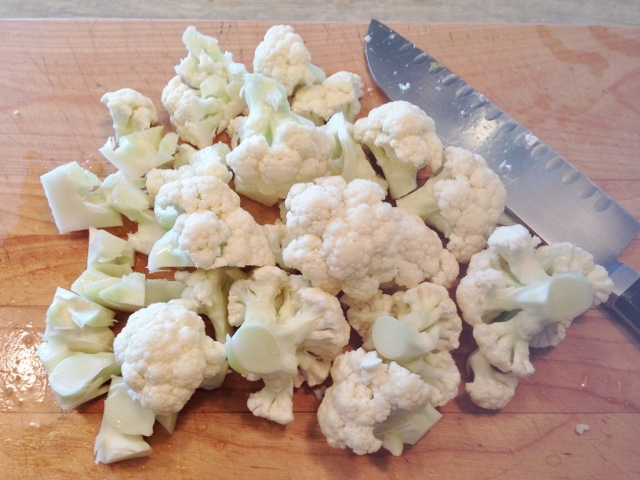 Wash and cut the cauliflower into florets. Place the florets into a microwave/oven safe dish. Put 1/2 cup water over the florets and cover with plastic wrap. Microwave the cauliflower for 6 minutes. Remove the plastic wrap and drain out any water from the bottom of the dish. 2. 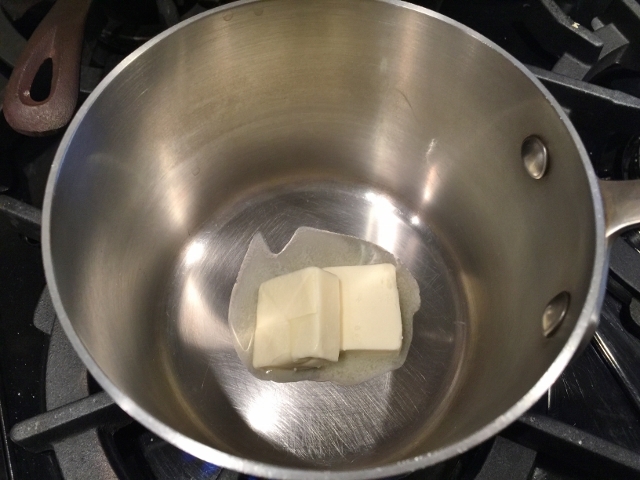 In a small saute pan over medium heat, add 2 tablespoons of butter. Let the butter melt and whisk in the flour. 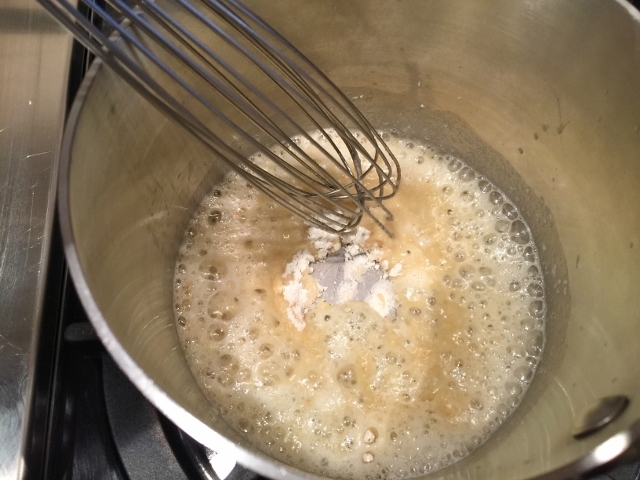 Continue whisking to remove any lumps and to incorporate the flour into the butter, about 3 minutes. 3. 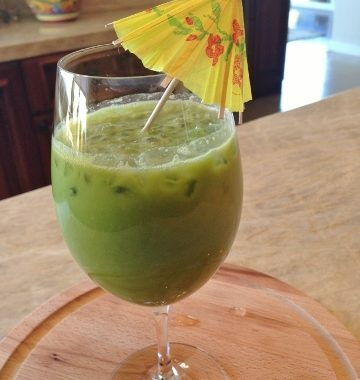 Pour in the milk and continue to whisk until the sauce is slightly thickened, about 3 minutes. 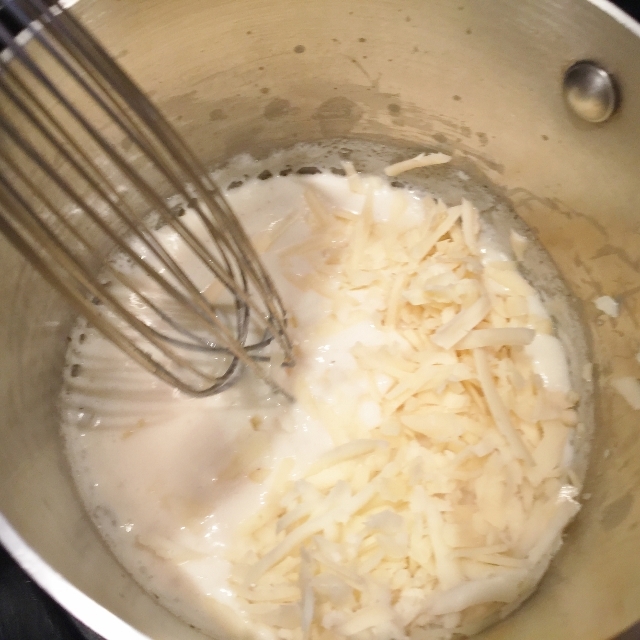 Add in the cheese and whisk again until completely melted. If your sauce is a little thick, you can add another splash of milk. 4. Then, add the Dijon mustard with 1/2 teaspoon salt and a pinch of pepper and whisk until smooth. 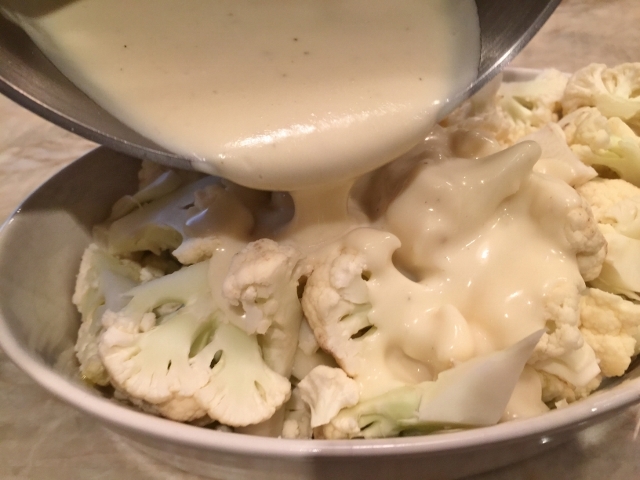 Remove the sauce from the heat and pour it over the cauliflower florets. 5. 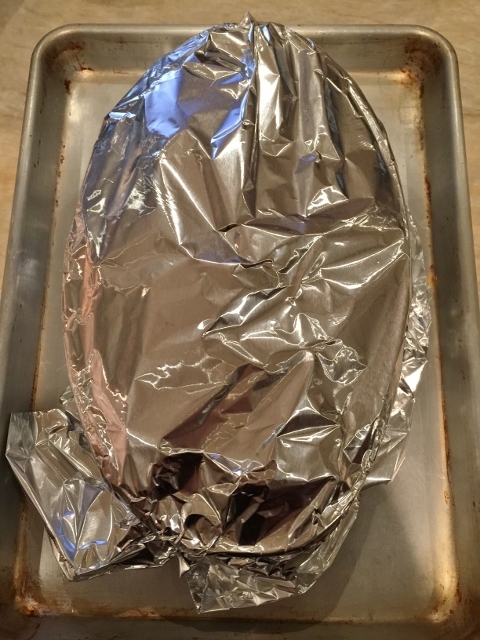 Cover the gratin with foil and put it on a sheet pan to bake in the oven for 50-60 minutes or until fork tender. 6. Remove the gratin from the oven and let it rest for 5 minutes before serving. 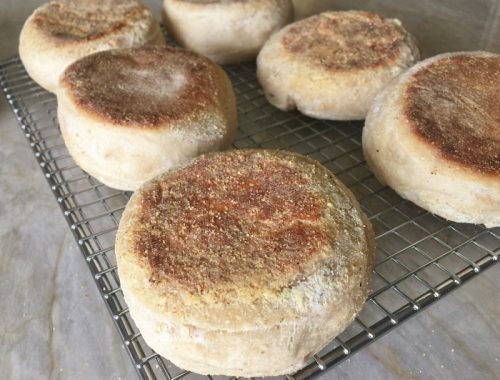 If you need to make it ahead, you can bake it, but cut the time down by 15 minutes and then, rewarm or bake it for 10 minutes or until hot and slightly bubbly, before serving. Enjoy!